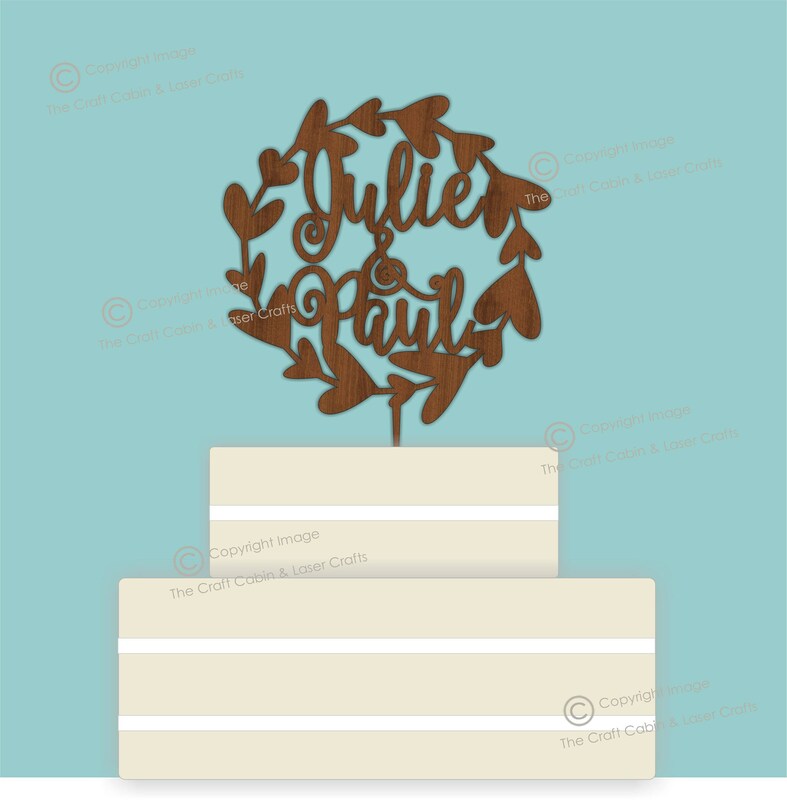 Personalised Wooden Heart Cake Topper. Rustic Wreath/Tribute Style With Names/Surnames. Perfect for Wedding Party, Birthday or Anniversary. 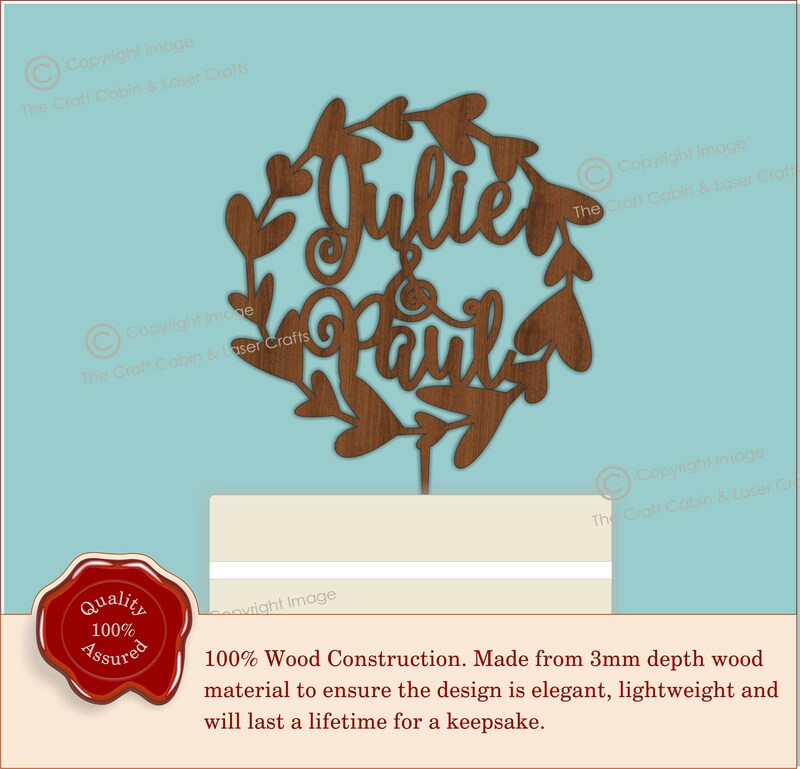 Personalised Wooden Heart Cake Topper. Wreath/Tribute Style With Names/Surnames. Perfect for Wedding Party, Birthday or Anniversary.